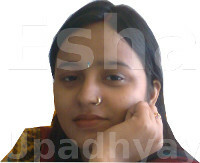 Myself Esha Upadhyay. I am the person behind this website and most of the articles are written by me only. You can get Social Media links at bottom of this article. There is a long history behind MoneyPati. I joined Share Market in year 2012. I did not inform any one in the family before creating a Demat Account. After creating account I transferred money to the account and started Investing. I made few mistakes initially. I have listed those mistakes in my post so that other beginners do not make the same mistake. You can read my article 6 mistakes you should not make after creating Demat Account. My portfolio was in red for some 18 months. One thing I did well was no trading during this time frame. I made only investments but those were not wise decision and were impulsive. During that time I started reading materials and followed news related to Business. The lack of systematic knowledge and pricey books did not help much. These things increased the learning curve. After initial struggle I understood most of the Jargon and started having confidence in my investment. This confidence was due to home work before investing and controlling sentiment. Remember everyone was giving 400 to 600 target for Infosys in year 2017 due to management issues. That time TV analysts and everyone just created Negative Euphoria on this beautiful company. That time I invested and made profit in it. This is one example why controlling Emotions and have deaf ears to constant negative atmosphere is important. After 6 years of being in market without any course or buying any material I learnt things the hard way that is reading and following market. I wanted to Pen down my thoughts and share with other users who are new to Share market. This website is an effort in that direction. You can read the Step by step guide on Stock markets to get started. Also I have shared model portfolios and Stock Research to help you get started. I will share my experience and learning here. The content on this site will be free to download and you can use them for your trading and investing. So happy Investing and Lets beat Inflation and make money. You can get in touch with me on Social Media as well. Below are my Social Media profiles. I am not SEBI Registered Analyst nor planning to get registered in future. All the opinion shared here are based on my own research. I invest in Stock markets based on my own research. I would advice everyone to use materials as supplement for their own research. This is no way investment advice or get rich quick scheme. It is to help you know the market better and help you in your own research.